My friend writes of this picture: “We were trying to fit more than 10 in my dining room for thanksgiving so we moved another table to the end of the dining table and made a “T”. 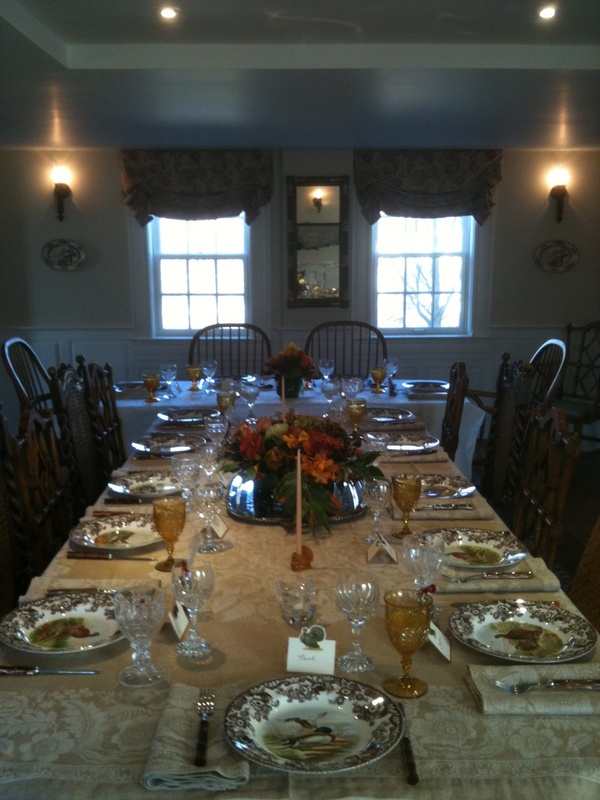 Then used a mix of brown and white Spode game bird plates on a taupe linen tablecloth with antique amber glass to set a festive fall table. (Did not have enough amber glasses so mixed with clear ones).” Beautiful!! This entry was posted in art work, decorating for holidays, nick nacks and tagged Concord, Dining room, Home Improvement, Interior Decor, Interior Design, Spode, Table, Tablecloth, Thanksgiving. Bookmark the permalink.